The Tara Viking 9N-AHH Twin Otter plane carrying 23 passengers flying from Pokhara to Jonsom that went missing in Nepal this morning has crashed. 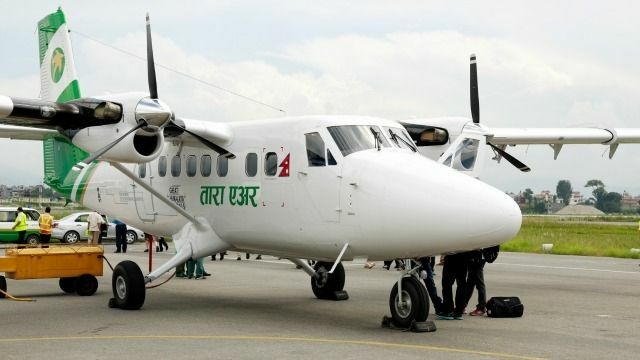 Nepal aviation minister Ananda Pokhrel confirmed that debris from the Tara Twin Otter plane had been found in a jungle in Soli Ghoptebhir in the Myagdi district. The aircraft, with a call sign 9N-AHH, lost contact with air traffic control 10 minutes after it took off from Pokhara at 7:45 am on 24 February. The Kathmandu Post quoted police constable Phool Kumar Thapa Magar as saying that the debris of the plane was scattered across 200 meters. "The plane was on fire and it is still burning," he said. The Kathmandu Post reported that a Chinese national, a Kuwaiti national and two infants were on board the plane. READ NEXT >> Is Mandana Karimi participating in Nach Baliye with Gaurav Gupta?